Impacts of climate change in the metropolitan regions of North America will be similar in many respects. Los Angeles, New York and Vancouver are used to illustrate some of the affected sectors, including infrastructure, energy and water supply. Adaptation will need to be multi-decadal and multi-dimensional, and is already beginning (see Section 14.5). Since most large North American cities are on tidewater, rivers or both, effects of climate change will likely include sea-level rise (SLR) and/or riverine flooding. The largest impacts are expected when SLR, heavy river flows, high tides and storms coincide (California Regional Assessment Group, 2002). In New York, flooding from the combination of SLR and storm surge could be several metres deep (Gornitz and Couch, 2001; Gornitz et al., 2001). By the 2090s under a strong warming scenario (the CGCM climate model with the CCGG emissions scenario), today's 100-year flood level could have a return period of 3 to 4 years, and today's 500-year flood could be a 1-in-50-year event, putting much of the region's infrastructure at increased risk (Jacob et al., 2001; Major and Goldberg, 2001). Climate change will likely lead to substantial increases in electricity demand for summer cooling in most North American cities (see Section 14.4.8). This creates a number of conflicts, both locally and at a distance. In southern California, additional summer electricity demand will intensify inherent conflicts between state-wide hydropower and flood-control objectives (California Regional Assessment Group, 2002). Operating the Columbia River dams that supply 90% of Vancouver's power would be complicated by lower flows and environmental requirements (see Box 14.2). In New York, supplying summer electricity demand could increase air pollutant levels (e.g., ozone) (Hill and Goldberg, 2001; Kinney et al., 2001; Knowlton et al., 2004) and health impacts could be further exacerbated by climate change interacting with urban heat island effects (Rosenzweig et al., 2005). Unreliable electric power, as in minority neighbourhoods during the New York heatwave of 1999, can amplify concerns about health and environmental justice (Wilgoren and Roane, 1999). North American city water supply systems often draw water from considerable distances, so climate impacts need not be local to affect cities. By the 2020s, 41 % of the supply to southern California is likely to be vulnerable to warming from loss of Sierra Nevada and Colorado River basin snowpack (see Section 14.4.1). Similarly, less mountain snowpack and summer runoff could require that Vancouver undertakes additional conservation and water restrictions, expands reservoirs, and develops additional water sources (Schertzer et al., 2004). The New York area will likely experience greater water supply variability (Solecki and Rosenzweig, 2007). The New York system can likely accommodate this, but the region's smaller systems may be vulnerable, leading to a need for enhanced regional water distribution protocols (Hansler and Major, 1999). Many cities in North America have initiated 'no regrets' actions based on historical experience. In the Los Angeles area, incentive and information programmes of local water districts encourage water conservation (MWD, 2005). A population increase of over 35% (nearly one million people) since 1970 has increased water use in Los Angeles by only 7% (California Regional Assessment Group, 2002). New York has reduced total water consumption by 27% and per capita consumption by 34% since the early 1980s (City of New York, 2005). Vancouver's 'CitiesPLUS' 100-year plan will upgrade the drainage system by connecting natural areas and waterways, developing locally resilient, smaller systems, and upgrading key sections of pipe during routine maintenance (Denault et al., 2002). 2002; Rygel et al., 2006) and the urban transportation network of the Boston metropolitan area (Suarez et al., 2005). For Boston, projections of a gradual increase (0.31%/yr) in the probability of the 100-year storm surge, as well as sea-level rise of 3 mm/yr, leads to urban riverine and coastal flooding (based on the CGCM1 climate model), but the projected economic damages do not justify the cost of adapting the transportation infrastructure to climate change. Less reliable supplies of water are likely to create challenges for managing urban water systems as well as for industries that depend on large volumes of water (see Sections 14.2.1,14.4.1). U.S. water managers anticipate local, regional or state-wide water shortages during the next ten years (GAO, 2003). Threats to reliable supply are complicated by the high population growth rates in western states where many water resources are at or approaching full utilisation (GAO, 2003) (see Section 14.4.1). Potential increases in heavy precipitation, with expanding impervious surfaces, could increase urban flood risks and create additional design challenges and costs for stormwater management (Kije Sipi Ltd., 2001). Although coastal zones are among the most important recreation resources in North America, the vulnerability of key tourism areas to sea-level rise has not been comprehensively assessed. The cost to protect Florida beaches from a 0.5 m rise in sea level, with sand replenishment, was estimated at US$1.7 billion to 8.8 billion (EPA, 1999). Nature-based tourism is a major market segment, with over 900 million visitor-days in national/provincial/state parks in 2001. Visits to Canada's national parks system are projected to increase by 9 to 25% (2050s) and 10 to 40% (2080s) as a result of a lengthened warm-weather tourism season (based on the PCM GCM and the SRES B2 emissions scenario, and the CCSR GCM with A1) (Jones and Scott, 2006). This would have economic benefits for park agencies and nearby communities, but could exacerbate visitor-related ecological pressures in some parks. Climate-induced environmental changes (e.g., loss of glaciers, altered biodiversity, fire- or insect-impacted forests) would also affect park tourism, although uncertainty is higher regarding the regional specifics and magnitude of these impacts (Richardson and Loomis, 2004; Scott et al., 2007a). Early studies of the impact of climate change on the ski industry did not account for snowmaking, which substantially lowers the vulnerability of ski areas in eastern North America for modest (B2 emissions scenario) but not severe (A1) warming (based on 5 GCMs for the 2050s) (Scott et al., 2003; Scott et al., 2007b). Without snowmaking, the ski season in western North America will likely shorten substantially, with projected losses of 3 to 6 weeks (by the 2050s) and 7 to 15 weeks (2080s) in the Sierra Nevada of California (based on PCM and HadCM3 GCMs for the B1 and A1FI scenarios), and 7 to 10 weeks at lower elevations and 2 to 14 weeks at higher elevations at Banff, Alberta (based on the PCM GCM with the B2 emissions scenario, and the CCSR GCM with A1, for the 2050s) (Hayhoe et al., 2004; Scott and Jones, 2005). With advanced snowmaking, the ski season in Banff shortens at low but not at high altitudes. The North American snowmobiling industry (valued at US$27 billion) (ISMA, 2006) is more vulnerable to climate change because it relies on natural snowfall. By the 2050s, a reliable snowmobile season disappears from most regions of eastern North America that currently have developed trail networks (based on the CGCM1 and HadCM3 GCMs with IS92a emissions, the PCM GCM with B2 emissions and the CCSR GCM with A1 emissions) (Scott, 2006; Scott and Jones, 2006). Mendelsohn, 2001; Sailor, 2001; Sailor and Pavlova, 2003; Scott et al., 2005; Hadley et al., 2006). Ruth and Amato (2002) projected a 6.6% decline in annual heating fuel consumption for Massachusetts in 2020 (linked to an 8.7% decrease in heating degree-days) and a 1.9% increase in summer electricity consumption (12% increase in annual cooling degree-days). In Québec, net energy demand for heating and air conditioning across all sectors could fall by 9.4% of 2001 levels by 2100 (based on the CGCM1 GCM and the IS92a emissions scenario), with residential heating falling by 10 to 15% and air conditioning increasing two- to four-fold. Peak electricity demand is likely to decline in the winter peaking system of Quebec, while summer peak demand is likely to increase 7 to 17% in the New York metropolitan region (Ouranos, 2004). Since the TAR, there have been regional but not nationallevel assessments of the effects of climate change on future hydropower resources in North America. For a 2 to 3°C warming in the Columbia River Basin and British Columbia Hydro service areas, the hydroelectric supply under worst-case water conditions for winter peak demand will likely increase (high confidence). However, generating power in summer will likely conflict with summer instream flow targets and salmon restoration goals established under the Endangered Species Act (Payne et al., 2004). This conclusion is supported by accumulating evidence of a changing hydrologic regime in the western U.S. and Canada (see Sections 14.2.1,14.4.1, Box 14.2). Similarly, Colorado River hydropower yields will likely decrease significantly (medium confidence) (Christensen et al., 2004), as will Great Lakes hydropower (Moulton and Cuthbert, 2000; Lofgren et al., 2002; Mirza, 2004). James Bay hydropower will likely increase (Mercier, 1998; Filion, 2000). Lower Great Lake water levels could lead to large economic losses (Canadian $437 million to 660 million/yr), with increased water levels leading to small gains (Canadian $28 million to 42 million/yr) (Buttle et al., 2004; Ouranos, 2004). Northern Québec hydropower production would likely benefit from greater precipitation and more open-water conditions, but hydro plants in southern Québec would likely be affected by lower water levels. Consequences of changes in seasonal distribution of flows and in the timing of ice formation are uncertain (Ouranos, 2004). 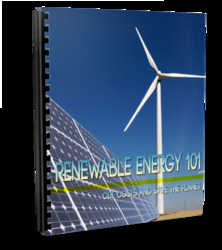 Wind and solar resources are about as likely as not to increase (medium confidence). 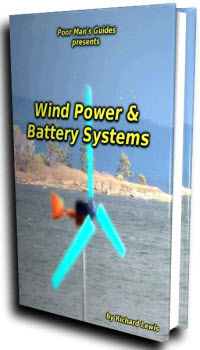 The viability of wind resources depends on both wind speed and reliability. Studies to date project wind resources that are unchanged by climate change (based on the HadGCM2 CGSa4 experiment) or reduced by 0 to 40% (based on CGCM1 and the SRES A1 scenario, and HadCM2 and RegCM2 and a 1 %/yr CO2 increase) (Segal et al., 2001 ; Breslow and Sailor, 2002). Future changes in cloudiness could slightly increase the potential for solar energy in North America south of 60°N (using many models, the A1B scenario and for 2080 to 2099 vs. 1980 to 1999) (Meehl et al., 2007: Figure 10.10). However, Pan et al. (2004) projected the opposite: that increased cloudiness will likely decrease the potential output of photovoltaics by 0 to 20% (based on HadCM2 and RegCM2 and a 1%/yr CO2 increase for the 2040s). Bioenergy potential is climate-sensitive through direct impacts on crop growth and availability of irrigation water. Bioenergy crops are projected to compete successfully for agricultural acreage at a price of US$33/Mg, or about US$1.83/109 joules (Walsh et al., 2003). Warming and precipitation increases are expected to allow the bioenergy crop switchgrass to compete effectively with traditional crops in the central U.S. (based on RegCM2 and a 2xCO2 scenario) (Brown et al., 2000). As projected in the TAR, the construction season in Canada and the northern U.S. will likely lengthen with warming (see Section 14.3.1 and Christensen et al., 2007 Section 11.5.3). In permafrost areas in Canada and Alaska, increasing depth of the 'active layer' or loss of permafrost can lead to substantial decreases in soil strength (ACIA, 2004). In areas currently underlain by permafrost, construction methods are likely to require changes (Cole et al., 1998), potentially increasing construction and maintenance costs (high confidence) (see Chapter 15 Section 15.7.1) (ACIA, 2005). Warmer or less snowy winters will likely reduce delays, improve ground and air transportation reliability, and decrease the need for winter road maintenance (Pisano et al., 2002). More intense winter storms could, however, increase risks for traveller safety (Andrey and Mills, 2003) and require increased snow removal. Continuation of the declining fog trend in at least some parts of North America (Muraca et al., 2001; Hanesiak and Wang, 2005) should benefit transport. Improvements in technology and information systems will likely modulate vulnerability to climate change (Andrey and Mills, 2004). Negative impacts of climate change on transportation will very likely result from coastal and riverine flooding and landslides (Burkett, 2002). Although offset to some degree by fewer ice threats to navigation, reduced water depth in the Great Lakes would lead to the need for 'light loading' and, hence, adverse economic impacts (see Section 14.4.1) (du Vair et al., 2002; Quinn, 2002; Millerd, 2005). Adaptive measures, such as deepening channels for navigation, would need to address both institutional and environmental challenges (Lemmen and Warren, 2004). Warming will likely adversely affect infrastructure for surface transport at high northern latitudes (Nelson et al., 2002). Permafrost degradation reduces surface load-bearing capacity and potentially triggers landslides (Smith and Levasseur, 2002; Beaulac and Doré, 2005). While the season for transport by barge is likely to be extended, the season for ice roads will likely be compressed (Lonergan et al., 1993; Lemmen and Warren, 2004; Welch, 2006). Other types of roads are likely to incur costly improvements in design and construction (Stiger, 2001; McBeath, 2003; Greening, 2004) (see Chapter 15 Section 15.7.1). An increase in the frequency, intensity or duration of heat spells could cause railroad track to buckle or kink (Rosetti, 2002), and affect roads through softening and traffic-related rutting (Zimmerman, 2002). Some problems associated with warming can be ameliorated with altered road design, construction and management, including changes in the asphalt mix and the timing of spring load restrictions (Clayton et al., 2005; Mills et al., 2006). Impacts of climate change on North America will not occur in isolation, but in the context of technological, economic (Nakicenovic and Swart, 2000; Edmonds, 2004), social (Lebel, 2004; Reid et al., 2005) and ecological changes (Sala et al., 2000). In addition, challenges from climate change will not appear as isolated effects on a single sector, region, or group. They will occur in concert, creating the possibility of a suite of local, as well as long-distance, interactions, involving both impacts of climate change and other societal and ecosystem trends (NAST, 2001; Reid et al., 2005). In some cases, these interactions may reduce impacts or decrease vulnerability, but in others they may amplify impacts or increase vulnerability. Effects of climate change on ecosystems do not occur in isolation. They co-occur with numerous other factors, including effects of land-use change (Foley et al., 2005), air pollution (Karnosky et al., 2005), wildfires (see Box 14.1), changing biodiversity (Chapin et al., 2000) and competition with invasives (Mooney et al., 2005). The strong dependence of ecosystem function on moisture balance (Baldocchi and Valentini, 2004), coupled with the greater uncertainty about future precipitation than about future temperature (Christensen et al., 2007: Section 11.5.3), further expands the range of possible futures for North American ecosystems. People also experience climate change in a context that is strongly conditioned by changes in other sectors and their adaptive capacity. Interactions with changes in material wealth (Ikeme, 2003), the vitality of local communities (Hutton, 2001; Wall et al., 2005), the integrity of key infrastructure (Jacob et al., 2001), the status of emergency facilities and preparedness and planning (Murphy et al. 2005), the sophistication of the public health system (Kinney et al., 2001), and exposure to conflict (Barnett, 2003), all have the potential to either exacerbate or ameliorate vulnerability to climate change. Among the unexpected consequences of the population displacement caused by Hurricane Katrina in 2005 is the strikingly poorer health of storm evacuees, many of whom lost jobs, health insurance, and stable relationships with medical professionals (Columbia University Mailman School of Public Health, 2006). Little of the literature reviewed in this chapter addresses interactions among sectors that are all impacted by climate change, especially in the context of other changes in economic activity, land use, human population, and changing personal and political priorities. Similarly, knowledge of the indirect impacts on North America of climate change in other geographical regions is very limited.